It is located 60 m from Playa de Palma. 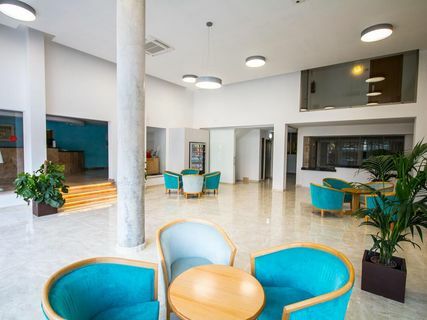 It is very well connected and situated 2.5 km from the airport and 8 km from the city of Palma. It is very close to the night entertainment areas of Playa de Palma-El Arenal. Nearby, you can enjoy your favourite sport, as well as beach sports such as volleyball, windsurfing, kite-surfing... as well as cycling, tennis, golf and squash... and strolling along the fine white sands of Playa de Palma. 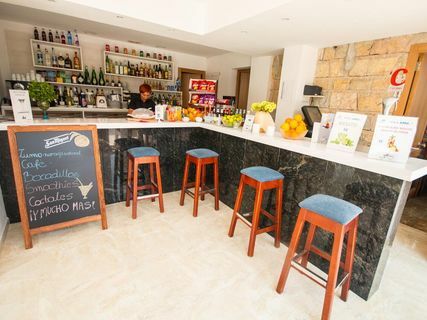 The Hotel Amic Gala has a family atmosphere and is located 10 m from Hotel Amic Miraflores, which belongs to the same company and provides guests with the use of its swimming pools and terraces, a perfect option to travel with kids to Majorca. 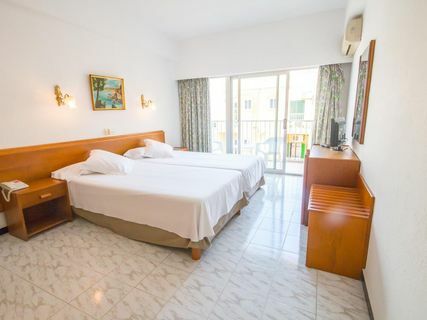 The 126 rooms at this beach hotel in Majorca have a balcony or terrace and are equipped with free wifi, bathroom, telephone, satellite TV, safe and air conditioning possible. We offer 3 types of rooms: Single, Double & Triple. Or ask you choose which one best suits your needs during your holidays in Majorca. Tout est fournit comme il est stipulé dans la description sauf que la plupart des choses sont payantes jusqu'à la clef du coffre fort à 2€ la journée, le déjeuner à 5€ , !!!! Buena relation calidad/precio y bien comunicado.